The tiny Finchingfield Brook in Essex has turned into a raging torrent four times – three of which caused huge destruction to the home of Gil and Peter Fairhead. Grace Robertson lost all her possessions in the 2003 Scottish floods. 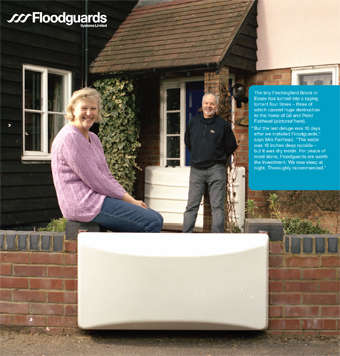 Now she is one of hundreds of council and private Moray householders who have installed Floodguards.